The first trailer is out for Ocean’s 8, the all-female instalment of the popular heist films, and as well as stoking plenty of excitement online, it drops some clues about the top secret plot. 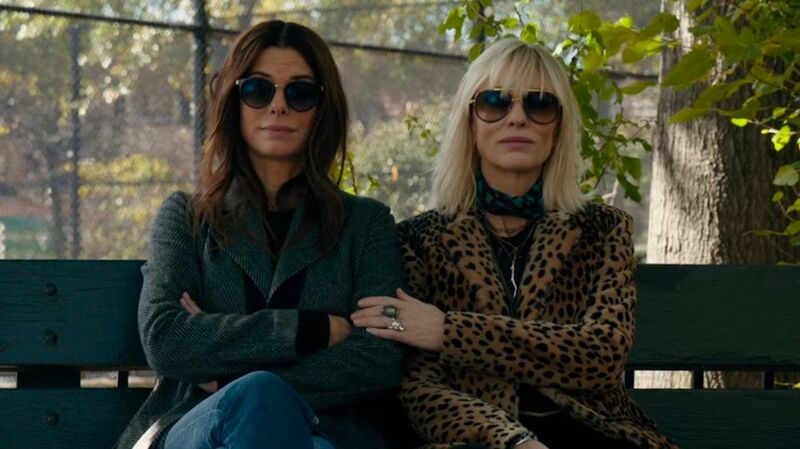 The newly paroled Debbie Ocean, played by Sandra Bullock, is joined by buddy Cate Blanchett to build a seven-strong gang who plan to steal a $150m necklace during the Met’s annual Costume Institute gala. There is a jewellery forger (Mindy Kaling), a grifter (Awkwafina), a hacker (Rihanna), a fashion designer (Helena Bonham Carter), and a stay at home mom (Sarah Paulson). But who makes number 8? Is it the necklace's wealthy wearer, played by Anne Hathaway, who could be working as an inside woman? We'll have to wait until next June to find out.